The National Green Tribunal (NGT), in its much awaited judgement on Okhla waste-to-energy plant, has allowed the plant to function but has directed it to pay an environmental compensation of Rs 25 lakh for its deficient operation earlier. A bench headed by NGT chairperson Swatanter Kumar while passing directions in "interest of public health and environment", said equal environmental compensation (EC) must be paid to the Central Pollution Control Board (CPCB) and the Delhi Pollution Control Committee (DPCC) to fund prevention and control of air pollution in the area. In its 142-page judgement, the bench said that Okhla plant should not be directed to shut down or shifted to another site the project proponent, M/s Jindal Urban Infrastructure Ltd, is compliant and non-polluting. Residents of the Sukhdev Vihar colony, located merely 35 metres away from the plant, have been protesting against it for allegedly toxic emissions since 2003. If rules are complied with, a WTE plant should be located at least 300-500 m away from residential zone. The residents wrote to NGT chairperson Justice Swatanter Kumar sharing their concern of the waste plant in their backyard and also how it is adding to Delhi's air pollution. Delhi is already reeling under a pollution crisis. The city generates over 9,000 metric tonnes of garbage per day, only 43 per cent of which gets processed. The waste-to-energy (WTE) plant at Okhla incinerates 2,000 tonnes of mixed waste per day to generate 16-19 megawatt electricity every day. The plant processes unsegregated waste, which is adding massively to the problem. As per the judgement, plant’s emissions will be monitored and must comply with CPCB or DPCC standards. If the plant is found violating these standards, it would be liable to pay environmental compensation of Rs 5 lakh per incident, the judgement says. The NGT has further directed that the brick manufacturing plant, utilising the fly/bottom ash must be operative to its optimum capacity. The judgement has directed the National Capital Territory (NCT) of Delhi and all its local authorities to mandate and incentivise the use of bricks made from fly ash for all construction projects. As per the judgement, the CPCB, DPCC and environment ministry will direct Delhi’s local authorities to provide more landfill sites in Delhi. It adds that such sanitary landfill sites should be maintained and utilised strictly in accordance with the Solid Waste Management Rules of 2016. But where is the land in Delhi-NCT? The city is already struggling with the existing dumpsites that receive the maximum quantum of unsegregated waste in the city. 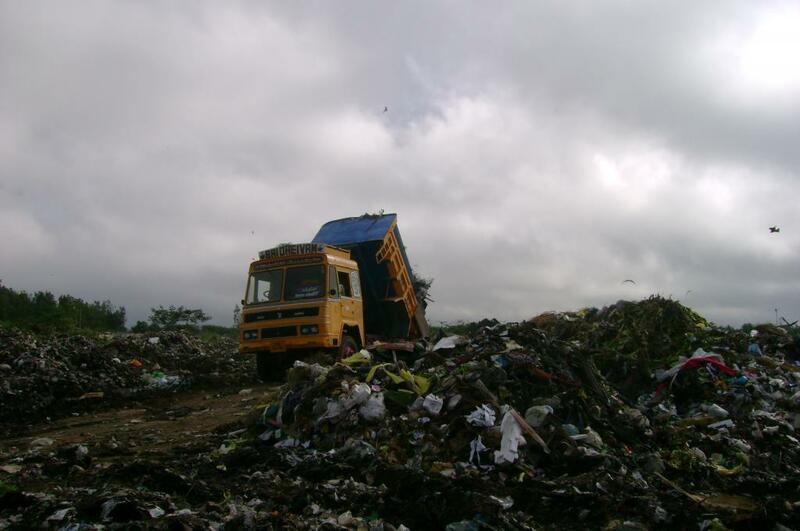 In the current paradigm, most of the so-called landfill sites are dumping grounds which were originally low-lying areas and waste was used to fill them (hence the name ‘land-fill’). These dumping grounds cause excessive groundwater pollution, methane gas emissions, fire-hazards and pests—a scenario completely opposite to a scientific landfill site. The tribunal has directed the Centre and local authorities to ensure the establishment of more waste-to-energy plants in accordance with the Rules of 2016. Past experience shows that these plants work only when waste is segregated—a task which is tedious at later stages. This makes the whole process inefficient and has led to the closure of many WTE plants. The judgement has further directed the existing landfill sites to be improved: their heights should be reduced and bio-stabilisation promoted. Reusable materials, particularly inert and plastic waste, should be recovered and utilised for construction of roads and embankments, it adds. As per the NGT judgement, the plant should have online monitoring system linked to CPCB and DPCC websites. The NGT has directed DPCC to issue appropriate directions to local bodies to ensure segregation of the solid waste at source. Construction and demolition (C&D) waste should be collected at source and transported to processing plants at Shastri Park and Burari. The NGT judgement has, once again, made it clear that it advocates a centralised system for waste processing. The question for NGT is not if waste management should be decentralised or centralised, but how waste will be processed and reused. Decentralised solutions will cut costs of transportation and make households and institutions part of the solution. NGT’s view that decentralised plants are not environmentally sustainable is incomprehensible. Although NGT is right in stating that clear availability of land will be at a premium, this does not mean that the “centralised/cluster approach” will make the problem go away. As more waste gets generated, more land will be required in a business-as-usual scenario. Cost of transportation is a key component of waste management and the further the site, the more will be the charge on municipal budget. For long, we have used the backyards of our cities to dump waste. But with growing literacy and social empowerment, people in poor neighbourhoods are taking a stand with a message that urban waste cannot be dumped in their backyards. Their protests are, however, not being heeded to, the latest example being this judgement. Sukhdev Vihar has not received due justice.